Have you ever wished you could change your students’ attitudes toward more positive engagement in their learning? YOU CAN! The secret rests in appreciating that all of us have a profound impact upon the emotional state of the students that we engage with every day. Whether interacting with individuals or groups, the neuroscience is clear: the affective domain (the area dedicated to how people learn) powerfully impacts student cognition, persistence, motivation, and performance. During this multidimensional, highly-interactive, experiential, and fun presentation, participants explore ways to promote positive, enthusiastic, and engaged collaboration among students. They also experience how to generate student collaboration in a manner that maximizes motivation, a sense of inclusion, and equity within their learning environments! Demonstrate the emotional impact of every single communication. Describe the positive outcomes of achieving high levels of resonance. Identify, nurture, and develop talents, rather than focus on weaknesses. Understand how positive emotions expand cognition. Explain how the affective domain profoundly influences persistence. Participate in a 60-second paper, roleplaying demonstrations, pair and share activities, and interviews with feedback. David R. Katz III is the Executive Director of Organizational Development at Mohawk Valley Community College. In that role he creates, implements, and oversees programs aimed at developing a vibrant culture of personal and professional enrichment that reinforces organizational goals focused around student success and empowerment. 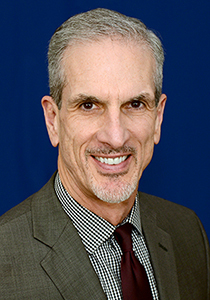 David is also directly involved in mentoring faculty and staff on pedagogical, motivational, and leadership issues at MVCC, at community college campuses throughout America, at national educational conferences, and to public and corporate audiences. David holds an associate’s degree in Liberal Arts from Camden County Community College, a bachelor’s degree from the University of Massachusetts with a major in Political Science and a minor in Secondary Education, and a master’s degree in Political Science from Villanova University. Please contact Edward Leach at ed@nisod.org or (512) 232-1430 for additional information or to arrange to have a workshop brought to your college. Workshops supplement NISOD’s offerings of professional development programs and resources, which culminate with NISOD’s Annual International Conference on Teaching and Leadership Excellence held every Memorial Day weekend in Austin, Texas. NISOD’s annual conference is noted as the premier convening of community and technical college faculty, administrators, and staff who strive for excellence in leadership, teaching, and learning. For more information about NISOD’s conference or to register, visit www.nisod.org/conference.